Autoship is an easy way for items to be automatically delivered on a regular schedule. Autoship is easily managed online and can be canceled at anytime. Simply choose how often you want to receive your items, and it will be automatically delivered to your doorstep. A 5% discount is applied to all autoship orders. Shipping is included on orders over $69. An email reminder is sent 3 days before the autoship is scheduled for shipment. Order frequency, next order date and/or quantity can be changed in the 'autoship' section in your account. Changes to orders may be made anytime within 24 hours of the next scheduled order date. It is estimated that 40% of the population over the age of 50 is deficient in vitamin D. Recently, researchers have had a renewed interest in vitamin D, finding it provides various benefits to health not previously known. Vitamin D helps maintain healthy bones by stimulating the absorption of calcium in the body. Without it, the body is unable to utilize the calcium supplied via the diet or supplements. Recent research has found correlations between low vitamin D intake and higher rates of negative health issues. Vitamin D is commonly referred to as the "sunshine vitamin," but many people do not spend enough time outdoors to obtain this benefit. Even though the RDA is set at 400 IU, many experts now recommend up to 1,000 IU, especially for those at risk for deficiency such as the elderly. 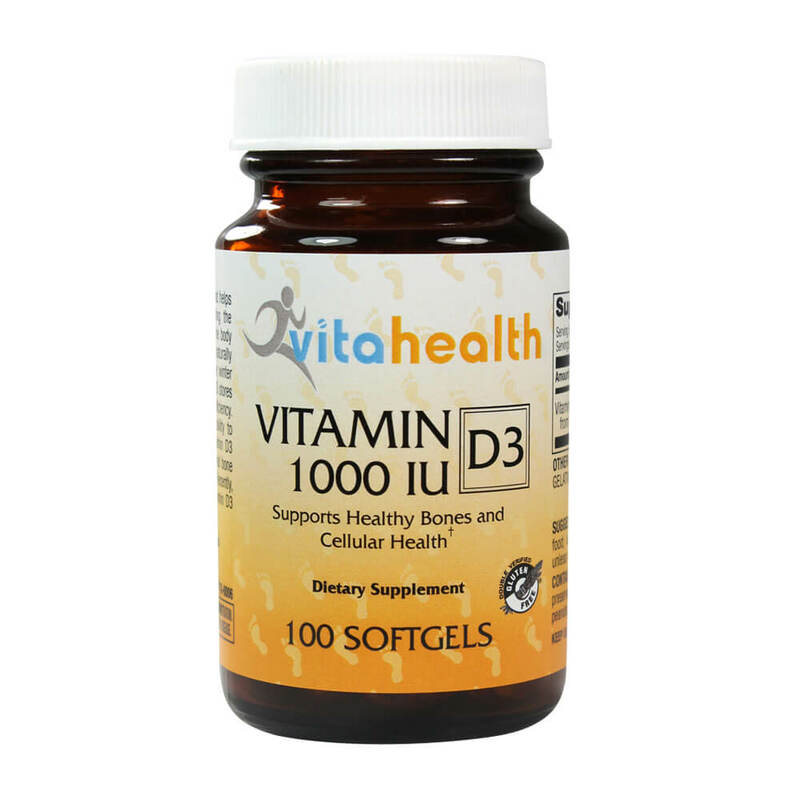 Try our Vitahealth Vitamin D to ensure you receive the recommended daily amount of Vitamin D.
Take one softgel daily with food; do not exceed two softgels per day unless directed by a physician. Our Vitamin D contains no artificial colors, flavors, or preservatives; no wheat, gluten, milk, eggs, peanuts, tree nuts, soy, crustacean shellfish or fish. As a licensed pharmacy, we are required to collect selected health and safety information on your pet. To process your prescription request, we require your veterinarian and pet information. Enter the zip code of your veterinarian, if your vet is not listed, please choose, "Not Found (I will add). If you can't find your vet, try searching by state. Find your veterinarian or select "Not Found (I will add) then Click Ok to proceed. Please note that your pet's health is our first priority. Please complete the below information. Our staff will review your pet's medication needs and process your prescription order request. Fields with an * (asterisk) are required to add this product to your cart. Click Save to proceed. Selecting cancel or clicking the X will clear the form. All product and company names are trademarks™ or registered® trademarks of their respective holders. Use of these marks does not imply any affiliation or other contractual relationship between Pet Supplies 4 Less and their respective holders nor does it indicate any endorsement, sponsorship or authorization has been granted to Pet Supplies 4 Less by their respective holders. Copyright www.PetSupplies4Less.com. All Rights Reserved.